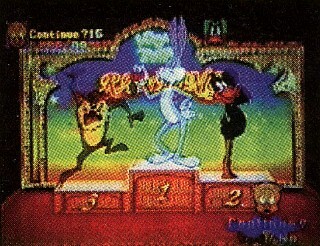 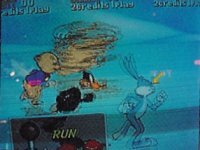 Looney Tunes: By A Hare was a side scrolling racing arcade game developed by SEGA featuring Looney Tunes characters. 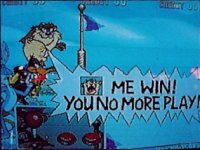 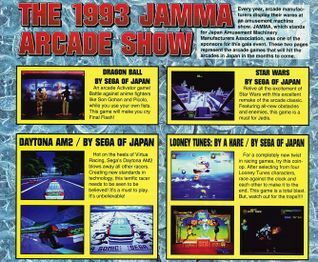 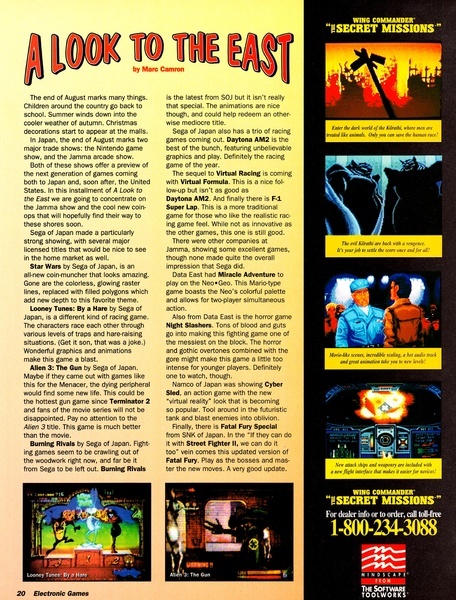 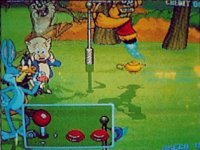 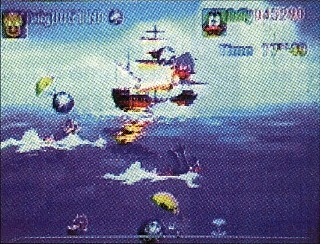 It was shown at the 1993 Amusement Machine Show (JAMMA) in Japan, and had a feature in the may, 1993 issue of Electronic Gaming Monthly Magazine and reportedly hasn't been seen since. 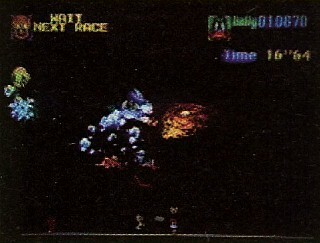 No ROM or footage has been found, and only a few screenshots exist.